Ten years ago, when I first kept chickens, there were few places in Portland to buy supplies. Driving out to Foster Feed on Southeast Foster & 103rd (Tel: 503-777-2967) was something of a pilgrimage from the city — there weren’t many of us with chickens yet then – and I’d often ride out with one of the few other chicken-o-philes I knew so we could pool resources and buy big sacks of grit and oyster shell, feed (there was no organic feed available then) or bedding. We chicken people stuck together. Now, we have numerous small farm stores in the city limits where urban chickeners can buy their supplies. Baby chicks are available throughout spring and early summer, along with the organic feed, bedding and other supplies needed to keep them healthy and happy. You can even buy some rather spectacular pre-fab coops! First, the brand-spanking new Naomi’s Organic Farm Supply, located at 2500 SE Tacoma St, Portland OR 97202, right on McLoughlin (Tel: 503-517-8551). This store, run by Naomi, her husband Neil and her mom Mary (just don’t call her "Mother Mary" please!!! ), sells chicks, feed, soil amendments, fertilizers, books, seeds and plants. Also, some adorable chicken t-shirts and – my favorite – a beautiful little barn and fenced run where you can meet and greet their little flock of farm animals including miniature goats! 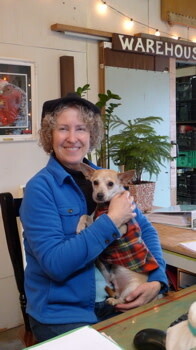 Naomi has honed her knowledge of soil and organic amendments and fertilizers after managing for several years at Concentrates, Inc., a feed and fertilizer supply store at 2613 SE 8th (Tel: 503-234-7501). Naomi now teaches classes on all variety of urban farming topics but is particularly helpful with chickens, goats, organic gardening practices and soil issues from organic nutrition to soil tilth. The Urban Farm Store opened last year on SE Morrison and has just recently moved down the street. 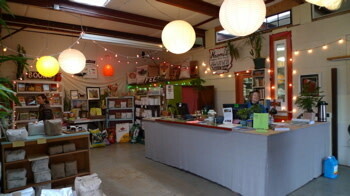 Now located at 2100 SE Belmont, Portland, OR 97214 (Tel: 503-234-7733), this shop sells chicks, feed, coops, straw bales, organic vegetable starts and fruit trees, seeds, beer and cheese making supplies, and more. Owner Robert Litt is well-schooled (literally and figuratively) in the ways of sustainable agriculture and design and is a superb resource for all things chicken, farm, and agriculture. Several small plant nurseries also sell chicken supplies and sometimes chicks – and are themselves quite "chickeny," with hens wandering the aisles while you shop for plants and owners and employees who are avid and knowledgeable keepers of chickens. These include Buffalo Gardens at 728 NE Dekum, Portland OR 97211 (Tel: 503-288-0220); Pistils Nursery (503-288-4889); and Livingscape Nursery at 3926 N. Vancouver Ave between Shaver & Fremont (Tel: 503-248-0104). Check before visiting to make sure they have what you’re looking for, as quantities of various breeds wax and wane throughout the season and supplies can sell out during the busy season. Have I missed your favorite chicken supply shop or urban farm supply store? Let me hear from you!